Over 1,600 of us sat down for a fine meal at the Dublin Chamber annual dinner in the Convention Centre and listened to guest speakers Alex Ferguson and our Taoiseach Enda Kenny. It was a great night with lots of friendly business banter just like the banter shared by members since 1783! In 1783 a group of men (no women at that stage!) came together and founded the Dublin Chamber of Commerce, the first in the country. Dublin Chamber of Commerce is in fact one of the oldest such organisation in Europe, having been preceded by other collective bodies including the Guild of Merchants, which dated from the mediaeval period, and the Ouzel Galley Society, established at the beginning of the 18th century. Dublin Chamber’s formation followed a weakening of the merchant guild system which left an opening for bodies which advocated free trade. Much of the focus of the Chamber in its early years was on abolishing impositions and opposing restrictions on export trade. The creation of Dublin Chamber led to the formation of other chambers of commerce around Ireland, including Waterford (1787), Londonderry (1790), Limerick (1807) and Cork (1814). Who were the men that founded the Chamber and what were the business issues that motivated them to come together? Travers Hartley was the first Chamber President and held this position from 1783 until 1788. On 18 March 1783, 60 year old Travers Hartley chaired the first meeting of the Chamber, shortly after his election. He had been a leading light in the Committee of Merchants since the 1760’s. Being a Presbyterian and dissenter, Travers was very aware of the sectarian nature of business in Dublin at the time. Travers married Anne Spence on 11 February, 1749, who was described in the newspapers as ‘an agreeable young lady with a £3,000 fortune‘. She died soon after the marriage, and he was married for a second time on 28 March 1752 to Anne Gibton by whom he had one surviving son, James (d.1810), who never married, and five daughters. His youngest daughter Anne married Addison Hone, the youngest brother of Alderman Nathaniel Hone, a future President of Dublin Chamber – keep it in the family! For some reason there seems to be a gap of eight years between Travers Hartley and the next President John Duncan in 1805 and in the next 2 years there were six different Presidents, whatever was going on. George Francis Carleton, a director of ‘The Commercial Insurance Company’ was President in 1807 . He was also one of the Common Councilmen of the Guild of Merchants in Dublin from 1824 till 1830, as was George Simpson Carleton who was the nephew of George Francis Carleton, all living on Eustace Street in Dublin. Keeping it in the family once again! 72 year old Joshua Pim (1748-1822), a Dublin Quaker, whose family came from Westmeath, became President in 1820. He became a general merchant in Dublin with a business premises at 16 Usher’s Island, and resided in the adjoining house, 15 Usher’s Island, later famous as the setting for James Joyce’s short story ‘The Dead‘. His career before this appointment makes interesting reading as we see the other organisations of significance in Dublin at the time. He was elected a member of the RDS Dublin Society on 31 January 1782 and, appointed to the Society’s museum sub-committee 21 August 1800, and to the committee of trade on 23 February 1809. He was elected a member of the Ouzel Galley Society in 1776 and was a founder member of Dublin Chamber of Commerce in 1783. He largely controlled the bay wool business in the Dublin area and was a proprietor of the Commercial Insurance Company, established in 1799 with a capital of £100,000 to transact fire, marine, and life insurance. That was a colossal amount of money at the time. In 1816 he acquired the Greenmount Mill in Harold’s Cross to process raw cotton imported from New York. 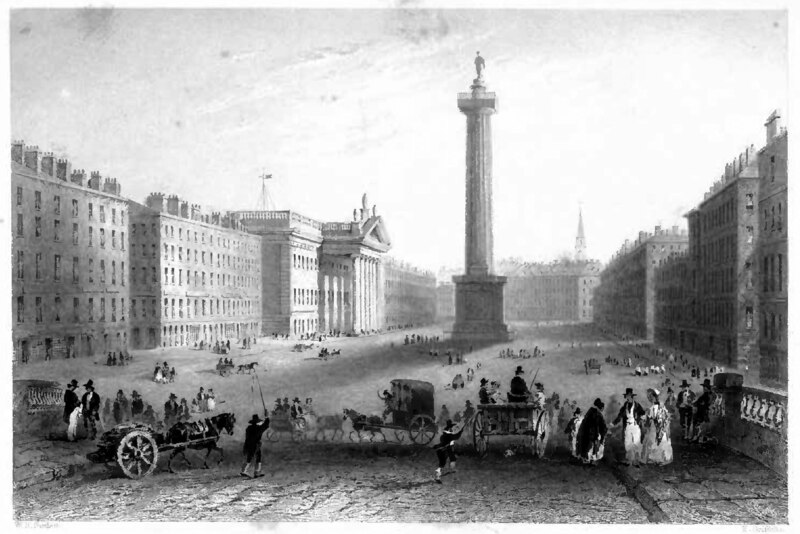 The early Presidents were prominent businessmen who all seemed to be living in Dublin city centre. One hundred years ago business in Ireland had war issues to deal with and Chamber President Richard K. Gamble with an address of 51 Fitzwilliam Square (just up the road from our office!) was going to be busy. When the Dublin Chamber of Commerce met in September 1914, the President, Richard K. Gamble, impressed upon those gathered the need for employers to encourage and facilitate the enlistment of their workforce. It was stressed that employers should keep workers’ jobs open on their return from war and explain to them that the uncertainty of trade during the conflict meant that they could not be assured that they could retain their jobs if they stayed. Richard K. Gamble paid the ultimate price when one year later his 22 year son Richard with a rank of Second Lieutenant with the Kings Liverpool Regiment, 7th Battalion was killed in battle in France. Since its foundation in 1783, Dublin Chamber of Commerce has sought to bring business people together to share ideas, to form a single voice for the local business community and to ultimately connect and grow business. While business has changed a lot since the days of Travers Hartley and Richard K. Gamble many things are the very same. While we are not exactly the wealthy business owners and merchants of industry like our founders and those who followed in their footsteps we still turn up with the objective of doing business and making a crust! Well done to Dublin Chamber of Commerce and all the other Chambers for giving us places to meet, to debate, to discuss and to do business with a collective voice and of course to eat drink and be merry! This entry was posted on October 12, 2014 at 6:28 pm and is filed under Business Planning, Networking. You can follow any responses to this entry through the RSS 2.0 feed. You can leave a response, or trackback from your own site. Very interesting to hear the history behind the organisation. Thanks for sharing, Greg.